If we win this case, it will be revolutionary for environmental law. 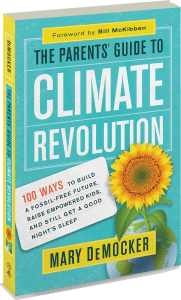 In April 2015, I was invited to speak to some fifth-graders about the block-long faux pipeline my family and 350 Eugene had built to protest a proposed fracked-gas export pipeline through Oregon. They got a kick out of the huge, fake pipeline, but once I mentioned that local high-schooler Kelsey Juliana and other kids were suing the governor of Oregon and the US president for destroying the climate, that’s all they wanted to hear about. Abandoning my planned talk, I dove into the story: The kids are suing, with the help of the non-profit Our Children’s Trust, because they believe they have a right to a livable planet. The fifth-graders were rapt, especially when I invited them to an upcoming hearing. Kelsey visited them the following week and revved them up even more. They drew posters of things they loved in Oregon and stood to lose to climate destruction, and, on the big day of Kelsey’s court hearing, created a “Children’s Tribunal” on the courthouse steps. PBS News Hour sent a second camera crew from New York, and footage of the children opens the ten-minute national news feature about the groundbreaking case. That ruling was historic. It was the first time that a federal judge made a legal ruling that the atmosphere must be protected! Woot woot! That means the youth plaintiffs are getting a chance — finally — to put the US government on trial for knowingly destroying the climate. That could lead to the big prize: a court order forcing government to make science-based plans for restoring carbon dioxide concentrations to the safe upper limit of 350 parts per million. Stay tuned for updates on “The Trial of the Millennium.” The Trump administration is fighting the kids tooth and nail — which is why we need hundreds of children and adults on the courthouse steps every time there’s a hearing. We want judges to hear our voices, too. 1 minutes and 58 seconds: Watch this short video of high-schoolers arriving at the courthouse in 2016. Five to ten minutes: Visit Our Children’s Trust (www.ourchildrenstrust.org) and get on their mailing list, order a T-shirt. sign a petition supporting youth plaintiffs in various lawsuits, and learn about youth-led legal campaigns in twelve countries. Watch one of OCT’s several short films about the youth, or read some of the widespread news coverage. Twelve minutes: Watch Kelsey Juliana’s TedX Salem talk. Twenty-five minutes: Watch Bill Moyers’s inspiring interview with legal scholar and parent Mary C. Wood, the legal genius who pioneered the “atmospheric trust litigation” used by the young plaintiffs. 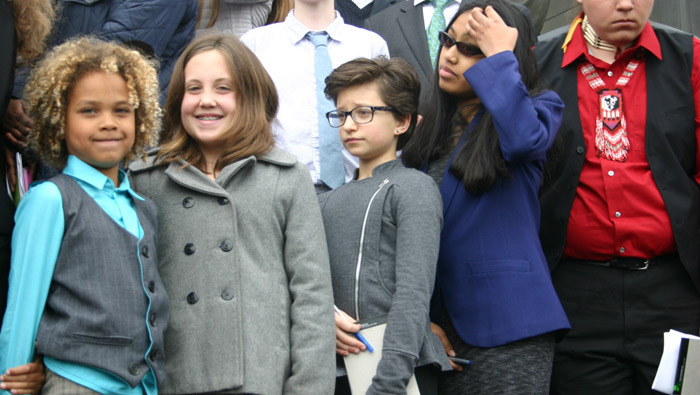 An afternoon: Find a kids’ climate lawsuit near your family — and show up at a public hearing with colorful displays of support.